If Guardians of the Galaxy has increased your appetite for fun with heroes, villains, and sharp images, Super Graphic: A Visual Guide to the Comic Book Universe is just the companion you need. 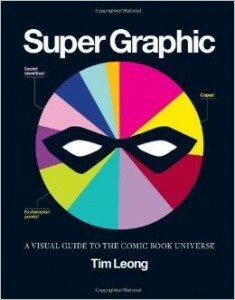 Tim Leong has combined imagination and analytics in a wild collection of graphs, charts, and tables that explores in glorious geeky detail the trivia that thrills true fans. 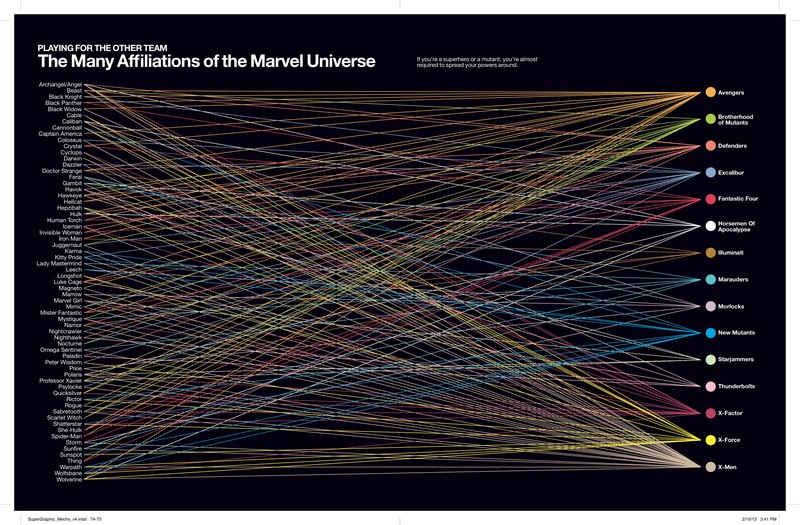 Vibrantly colored infographics decipher the many affiliations of the Marvel universe or even the convergences of the big three superhero tropes. The diagrams aren’t limited to cape-wearers, so you’ll find data on stories as different as Persepolis, Tintin, and The Walking Dead. Rich with clever design and bold geometric definition, Super Graphic allows you to bask in the small details that add up to larger-than-life adventures.